I started dock jumping in 2006 with our newly rescued 1 year old Chesapeake Bay Retriever, Kona. He refused to jump at his first event and then at his second event he jumped over 20'. His third event he jumped 25'10". This motivated my husband and I to start traveling the west coast to various dock diving events with two goals in mind: to give our little nutcase Chessie an outlet and our 13 year old rescued Chessie, Wooly, the car rides he loved so much. In doing this, we have met so many great people and even more great dogs. I look back at our years in this sport and I really cherish the photographs people have taken of my husband and I with all of our dogs and I wanted to do the same for others. My profile picture is of Kona and I in 2007. It was taken by my long-time friend, Howie George, who truly is a genius in the photography of this sport. (http://www.maxdogphotos.com It is my favorite picture of all time and I am so grateful to Howie for giving me that memory. I hope that some day I will give someone a picture that is as important to them as this one is to me. 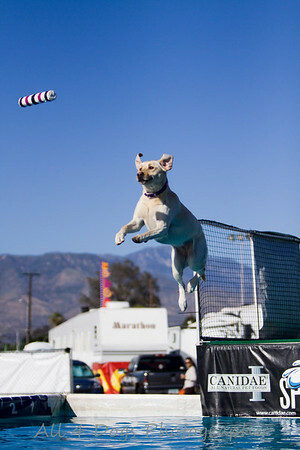 In the spirit of why I started competing in this sport and in honor of all of my previous and future foster dogs, 100% of the proceeds from these photographs will be donated to non-profit animal rescue organizations. If you are looking for a new four legged addition to your family, please go to your local animal shelter, private animal rescue group or check out www.petfinder.com. 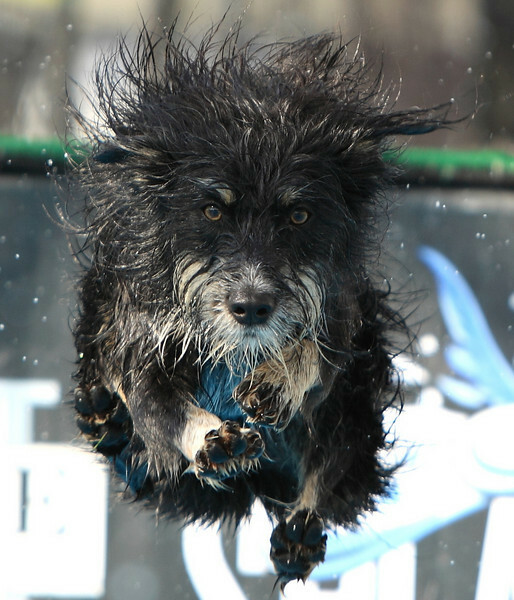 Better yet, go to a local dock diving event and you are sure to meet someone actively involved in rescue that can help you find the perfect companion. Maybe even one who likes dock diving!